The NDDC’s “St. 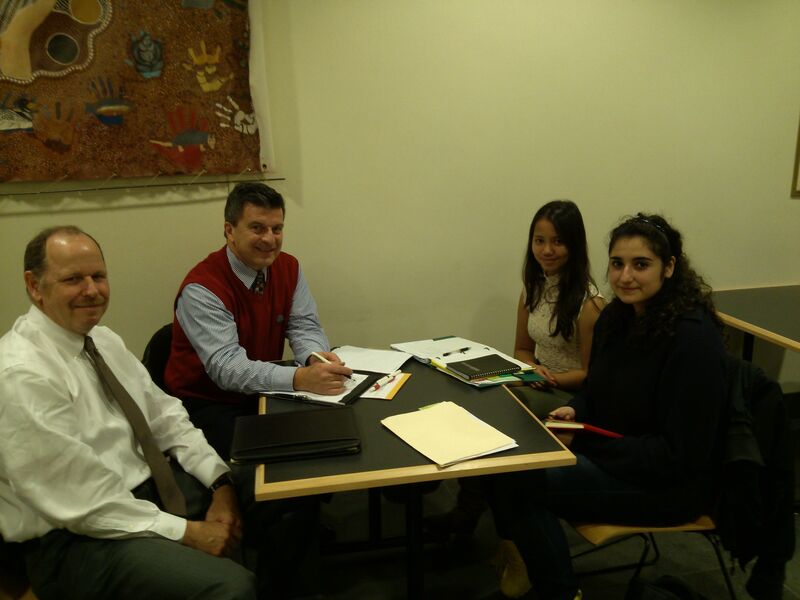 Olaf Alumni Property Economics Project” team met in Buntrock Commons yesterday to plan and implement the final stages of this college-community collaboration. Pictured are NDDC board members, downtown building owners, and St. Olaf alums Dave Neuger and Mark Quinnell and St. Olaf students Dea Jessica and Kinem Akgun. The project is based on collecting and analyzing data on downtown commercial properties in order to identify clear trends and critical factors. A surprising number of downtown properties are owned by St. Olaf alums (thus the name of the project); however, we later opened it up to other MIAC alums (Carleton, Gustavus, and St. Thomas), and, eventually, IIAC alums (Luther) and downtown building owners from a couple of U of M campuses. Dea and Kinem are both economic majors at St. Olaf College with apparent minors in accounting (Dave and Mark noted that both students are almost scary smart). Dea is from Indonesia and Kinem is from Turkey and have done business and economics-related internships around the country and around the world. The goal of the project is to summarize the challenges and opportunities of owning commercial property in downtown Northfield. The hope is that this information will help to inform the decision making of Northfield’s leaders.